Glaucoma is an optic neuropathy characterized by optic disc cupping and visual field loss. Its pathogenesis mainly involves mechanical and vascular factors, the mechanical theory claims that high intraocular pressure (IOP) causes a deformation of the optic nerve head (ONH), and the vascular theory claims that glaucomatous optic neuropathy is the consequence of insufficient blood supply due to IOP elevation and other risk factors. Up to now, IOP is the only modifiable risk factor for glaucoma. 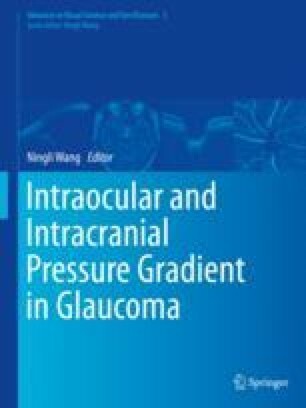 Nevertheless, in some glaucoma patients, the progression of disease continues despite IOP reduction, indicating that vascular disturbance may play a more important role in the development of glaucoma in these patients. Mann C, Anders F, Liu H, et al. Morphological and quantitative changes in retinal and optic nerve vessels in experimental glaucoma model with elevated IOP for 7 weeks. Klin Monbl Augenheilkd. 2018; https://doi.org/10.1055/s-0044-101617.